Here’s a church-life guarantee: people sin. Sometimes, they even sin against you. We all know this. What we don’t always know is how to deal with it. In my experience, we tend to swing to one of two extremes. 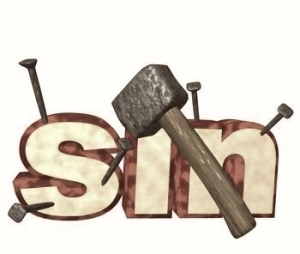 At times we confront sin in such a harsh and unforgiving way that it doesn’t reflect God’s dealings with us. At other times our forgiveness is so much like turning the other way with a wink that we end up without any resolution to the sin problem. Jesus gave some good advice about this. As it happens, both things are necessary—forgiveness and resolution. Take a look at Matthew 18. The key phrase here is “[if] your brother sins against you.” It shows up twice, once in verse 15 and once in verse 23. The first time, Jesus is talking to his disciples. He begins, “Now if your brother sins against you, go and tell him his fault between you and him alone.” You know the rest. If he won’t listen, take one or two others with you. If he still won’t listen, bring it to the assembly. If he won’t listen even then, consider him a Gentile and a tax collector. The point is that, when your brother sins, resolution is necessary. We may be tempted to think that the most loving reaction is to overlook, to put it out of our minds, to push it under the rug. Sort of an oh-let’s-not-mention-it-again attitude. That’s probably what the other guy would most like you to do anyway. But Jesus is saying that it’s often much better to address the sin and draw out the cancer, even though it may be painful. The point is clear again. If your brother sins, you have to forgive him. If you don’t, God will retract his forgiveness from you. And if we try to confront our brother’s sin without forgiving him, we are very much like the unforgiving servant in Jesus’ parable. So we see that dealing with sin is a two-part operation. First, forgive. Second, resolve. We cannot have confrontation without forgiveness nor forgiveness without resolution. As always, Jesus shows us a better way. Copyright © 2014 Bryan Elliff.